Ashok Bhurtyal, a community health worker in Nepal, shares his experiences using Where There Is No Doctor and describes the impact it had on his life. My encounter with Where There Is No Doctor dates back to my early childhood when my father introduced the book as one of the most ground-breaking works ever done in the field of health or medicine. He used to treat our minor medical problems through the home remedies suggested in the book. It worked! No one in my neighbourhood or the hospital staff (including acclaimed pediatricians, Nepali as well as international) believed that I would survive my early childhood illnesses compounded by very severe malnutrition. Luckily I got the opportunity to live, and today many of my neighbours look at me as if some miracle did happen. After two and half decades, I caught Jaundice (infectious hepatitis). I was a second year student, earning my Bachelor’s in Public Health at the Institute of Medicine (IoM) in Nepal. I was was walking in Nuwakot to help public school secondary students, when I felt I was getting very sick. I continued the walk until I could not bear it any longer and fell off with frequent bouts of vomiting. Somehow, I managed to come back to Kathmandu. Back at the IoM hostel, my friends suggested I go to the Teaching Hospital and get my bilurubin levels tested to confirm jaundice. I went for testing, but the hospital staff lost my blood sample. Furious, I never went back to any hospital. My friends (some of whom were already practicing medicine) suggested strict diet control, especially for salt and oily foods. They advised that I quit eating salt altogether! The next seven days, I stayed in my home and lived only on boiled pumpkin. I wanted to see what was written in Where There Is No Doctor about jaundice. I still had the very same book which my father used to show us in our childhood. The old and torn book mentioned that you can have small amount of salt, low fat, and even boiled eggs or boiled meat when suffering from jaundice. I was excited, and started back on normal foods, though I was cautious not to put extra pressure on my liver. I recovered! After some weeks I made a recovery check by drinking some beer. 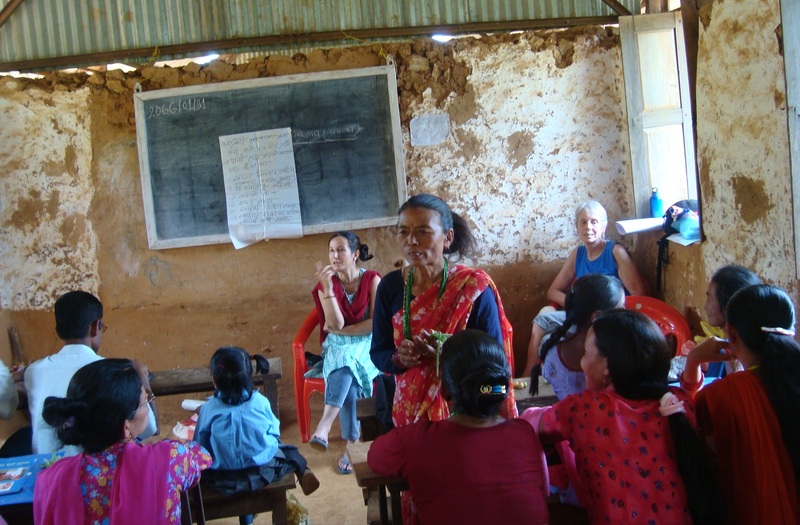 Women’s health workshop in Nepal, hosted by RHEST, a Hesperian field-testing and translations partner. 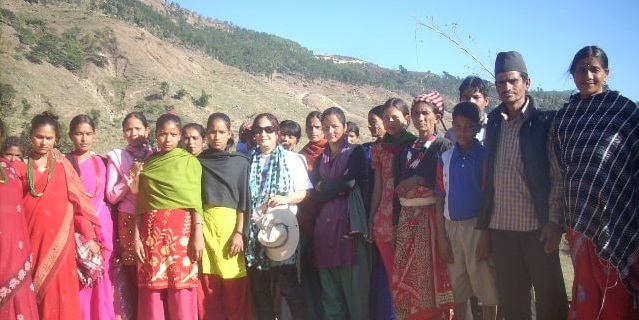 In 2005, I led a group of medical students volunteering to support public school children and local health workers in the Mali village development community in Dolakha.This was the same village where we went for community diagnosis in 2003, and I felt an obligation that we have to give back to the people. We brought Where There Is No Doctor and trained the students and health workers how to treat medical problems at home or in their health posts. 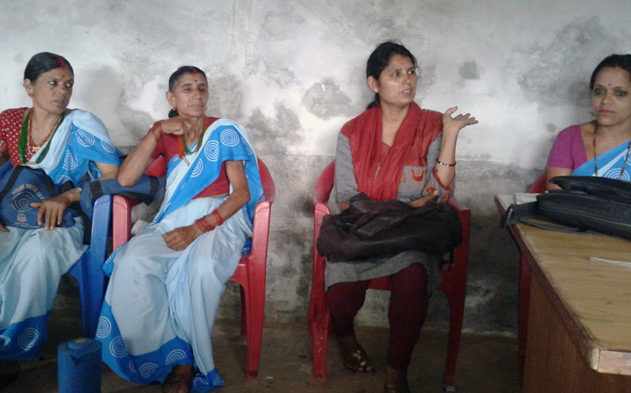 Nepali women participate in a field-testing group for “Health Actions for Women”, facilitated by RHEST. I also got a copy of the Nepali edition of Where Women Have No Doctor from the public library. I gave it to my mother, who was suffering from post-menopausal health problems. The book taught her several actions to improve her health that she adopted. Again, it worked!